The Edelbrock/Russell 6 Feet Pro-Flex Pre-Packaged Stainless Steel Braided Hose is constructed with a stainless steel outer braid that resists abrasion and corrosion. 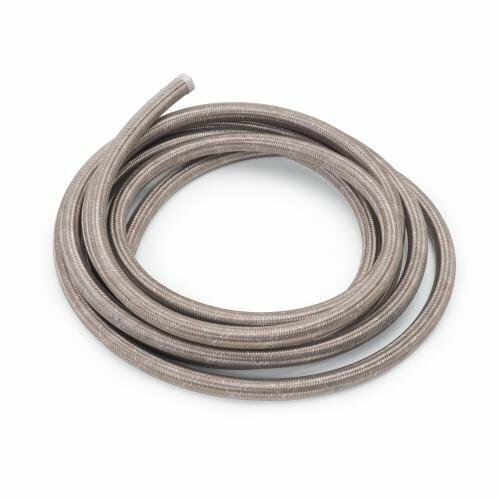 This hose has a Chlorinated Polyethylene (CPE) synthetic rubber liner with a nylon inner braid that will not collapse under extreme heat, yet is extremely flexible. The size of the hose is -6 AN. If you have any questions about this product by Russell, contact us by completing and submitting the form below. If you are looking for a specif part number, please include it with your message.